A unique combination of design, application freedom, and innovative technology solutions have made PREMISE the leading choice for companies around the globe. The responsiveness of PREMISE’s design allows for a high-degree of ﬂexibility in reconﬁguring workspace needs as demands change. 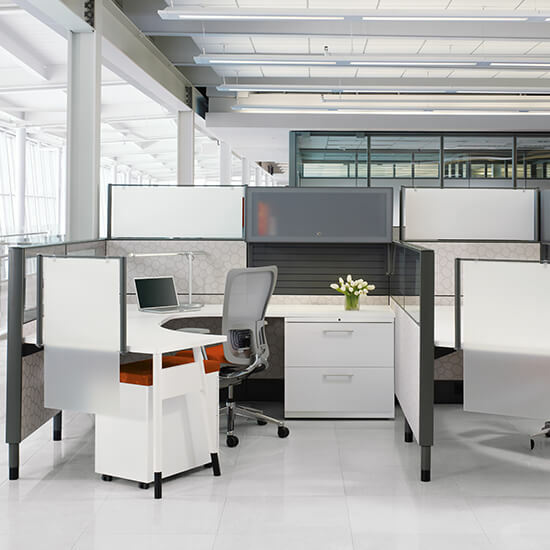 The same components that comprise a traditional workstation can be used to create ﬂoor-to-ceiling conﬁgurations. Light-scale elements, such as glass, provide visual intrigue and allow increased access to daylight and views in the workspace, while lower return panels encourage collaboration within a work group.